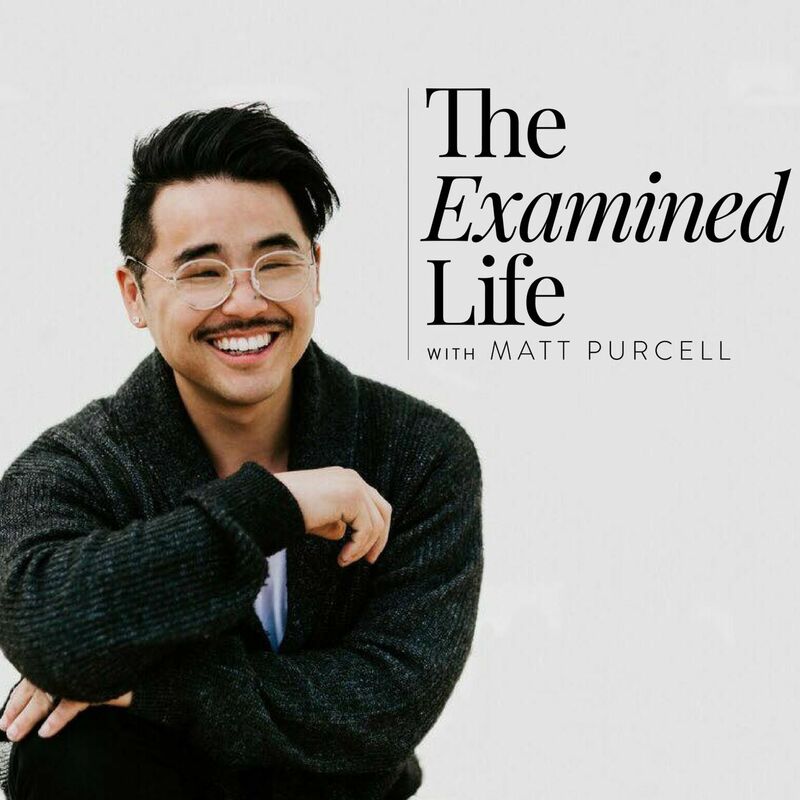 The Examined Life with Matt Purcell | Listen Free on Castbox. The Examined Life is the latest podcast series from award winning entrepreneur and life coach, Matt Purcell. Join Matt as he talks to some of Australia's most inspiring and recognisable people about business, leadership, mental health, relationships and much much more. Chatting to high profile Australians, Matt aims to uncover what makes them tick, understand how they perceive themselves, and engage them to share about how they overcome struggles and achieve their goals in our 21st century culture. The Examined Life is a program that aims to get you thinking about your own values, direction and meaning. Matt Purcell interviews USA political celebrity Dave Rubin during Jordan Petersons tour in Australia.DAVE RUBINhttps://daverubin.com/Dave's journey from a left leaning progressive to a free thinking classical liberal has been quite an adventure. As a gay married man living in America, Dave spent the majority of his adult life subscribing to a certain political belief system based primarily on his immutable characteristics. Fed up with the mainstream media narrative and click-bait news, Dave decided to open up about his awakening, for all to see. He came to realize that no person or idea should be expected to join a side, but rather they should embrace their status as an individual. He now feels that the modern left has lost its way by taking political correctness and groupthink to a dangerous level, distracting from the true American dream of the pursuit of life, liberty and happiness.Dave's background as a stand up comedian, degree in political science, and willingness to listen without fighting has uniquely positioned him to tackle big ideas and uncomfortable truths with thought leaders from both sides of the aisle. His show The Rubin Report aims to create civil discourse with people we both agree and disagree with, and host a dialogue with others whose ideas are judged before being given the chance to be presented in an honest way.Dave is currently taping season 5 of his talk show, speaking around the world with Dr. Jordan Peterson on the "12 Rules for Life Tour," and performing stand up comedy in cities around the U.S.
#7 Sam Evans | Content Creation, Raising Your Standards, Tech & R U OK? My next guest on The Examined Life is tv presenter, qualified wellness coach and teenage girls role model Liv Phyland. We had a deep and fun chat about her work, the judgement that is in our culture, over coming challenges and much more.About Livhttps://www.instagram.com/livphyland/?hl=enhttps://www.girlswhoglow.com.au/workshops/She's a fresh, healthy face with a cheeky sense of humour and hergenuine lust for life is addictive. Liv's television debut was in 2011, when she became the host of ABC3's flagship show 'Studio3'. In 2015 Liv made the jump from ABC to host Eleven's music show The Loop, alongside Scott Tweedie. Indulging in her love for all things lifestyle and adventure, she has also appeared in her own show 'Liv on theEdge', and her adventure web series 'Letting Go'. Liv has MC'd events such as the 'Fun4Kids' festival, Cyber Safety Summit, St Kilda Festival, the ARIA's Red Carpet, The Retailer Awards, and Tropfest. Liv is also an ambassador for The Starlight Foundation, Ride 2 School, REELise, and Surfrider.Liv is passionate for all things health and well-being, having completed her undergraduate degree in Psychology, and becoming a health coach with the Institute of Integrative Nutrition. Her proudest achievement is combining her passion for physical and mental health to launch and run Girls Who Glow; workshops for teenage girls to be their healthiest, happiest selves. #5 Liv Phyland | Television, Mentoring Teenage Girls, Judgement, Confidence. #4 Dami Im | Music, Touring, Beliefs, Comparison, Discipline. #3 Pete Evans | Tall Poppy Syndrome, Identity, Comparison, Career Choice. #2 Osher Günsberg | Mental Illness, Medication, Purpose, Health.